We spent Friday and Saturday cleaning up the yard. Now that work is winding down with Counterforce -- there are only a couple more punchlist items to deal with -- and we're preparing for the front stairs to be rebuilt and a bunch of plumbing work to be done, we started thinking about how to get the yard looking more like humans live in the house. 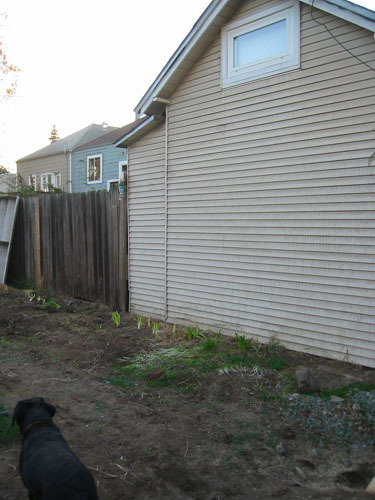 The first big task was getting the stacks of siding under cover in the basement, achieved by passing it in through the last large opening in the wall that Noel hadn't closed off. We stacked it in a dark corner of the basement where we can get to it when we are ready to put it back on. 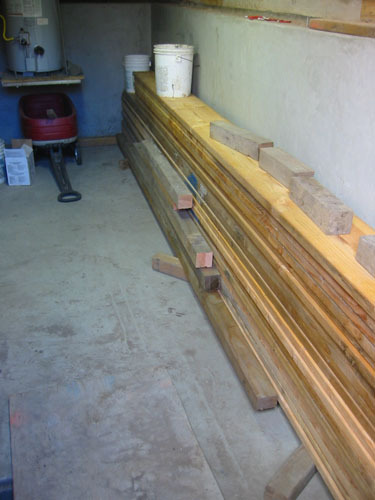 Then we sorted through the huge stack of wood in the driveway, piece by piece, until we found the few unused and viable pieces we wanted to keep, and stacked them in the basement. Yeah, that was a lot of lifting. 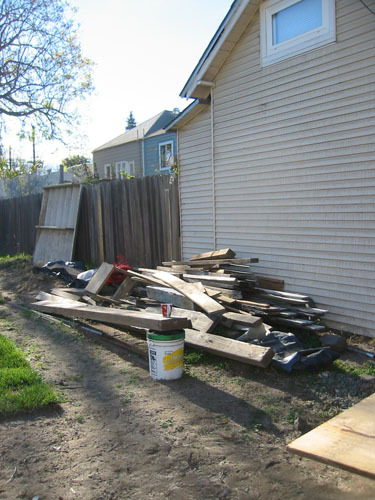 It was nice to see the alley cleared of siding and random bits of wood. 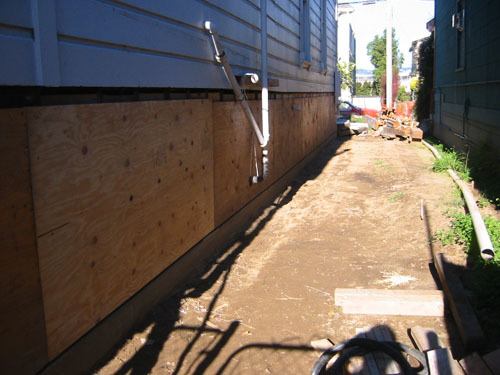 After we had moved the siding into the basement, Noel put in the last piece of plywood to close up the basement. 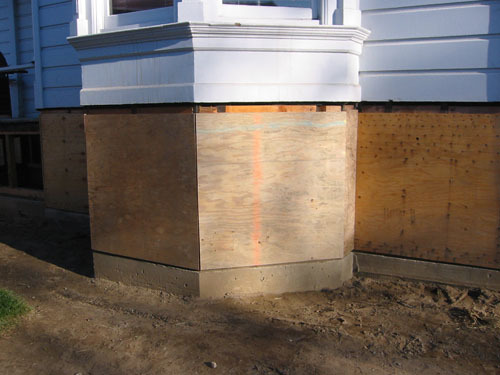 Now all we need is to cover the plywood with 15-pound building felt for the winter, and we're sealed up. 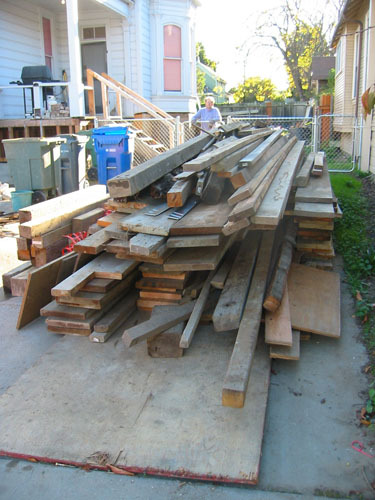 To give you some idea of what sort of hauling we did, there was this pile of mixed rotted wood and siding lying beside the cottage in our neighbor's garden. This is what it looked like at the end of the day on Saturday. I was so excited to see that my amaryllis are alive even after a year under the container and then a trash pile! 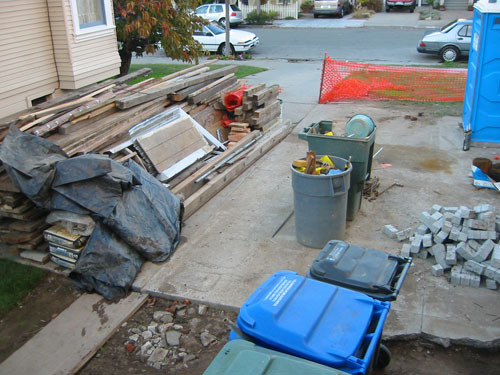 I did a lot of moving of stuff in the front yard -- there's still a stack of bundled wood that was all too heavy for me to lift, but most of the wood is moved. 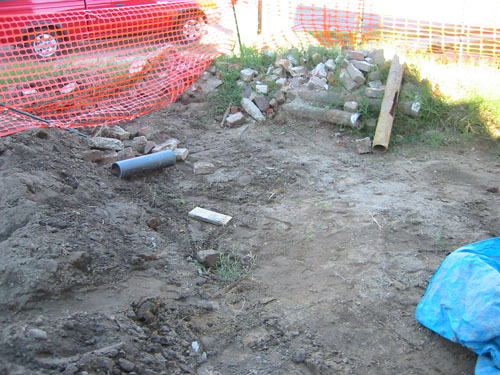 As you can see, I have a lot of work to do moving bricks; I think I'm going to use them around the yard for now, since there's no easy way to dispose of bricks. 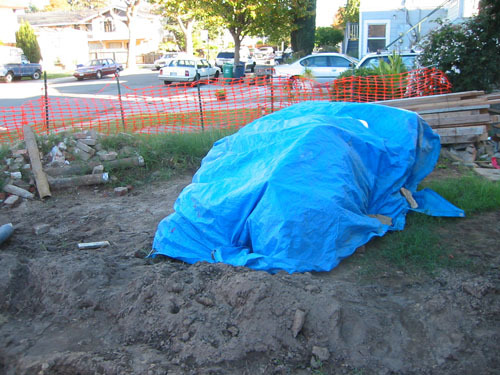 We have the two side walls of the front stairs waiting to be replaced, so we put them on some scrap wood and tarped them over to protect them from the rain. 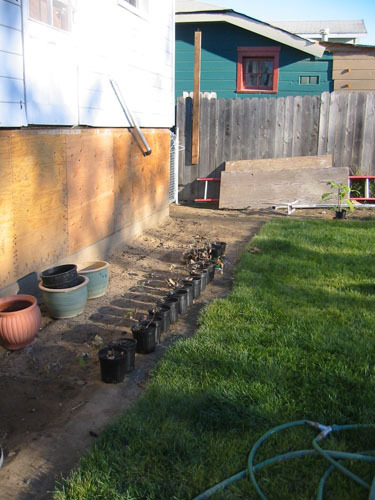 We also cleared my grape seedlings off the side porch and lined them along the lawn. I have to come up with some slightly more permanent solution, but so far this gets them a little protection from the wind, and natural watering. By the end of Saturday, we were aching all over, and we had this gigantic pile. A friend may be able to use much of it in a project, and anything left over is going to be donated. Yeah, it's grotty formwork, but if you're making foundations you need formwork. The dogs were very good and patient with all the comings and goings all weekend. 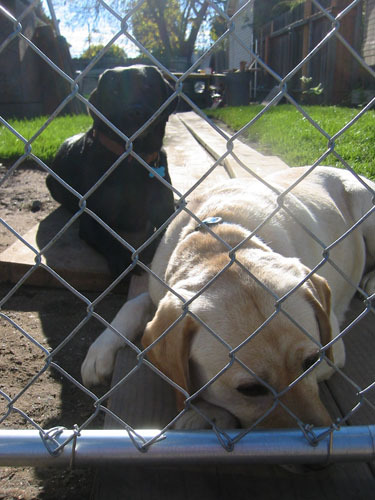 It's so hard being stuck behind a fence.